Sebastian Vettel has recently been talking about the state of Formula One, in particular that it is less interesting for fans with one team dominating. He also mentioned that the focus is too much on mechanical prowess and complicated technologies, rather than driver skills. Now, the four times world champion may have some good points to make, but prefacing his arguments with the complaint that one team running away with it all ruins it for everyone is a little hard to take. The dominance of Mercedes in the past two years took away a lot of excitement for the fans. Plus the new rules focus too much on details. Seb’s main concern at the moment is that “we have to be careful not to lose the roots of motor racing,” by which he hopes the sport can maintain a focus on driver skill just as much as on technology. 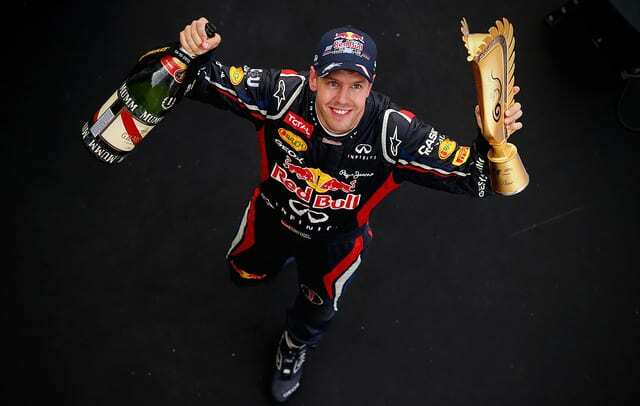 Whilst not wishing to cast aspersions on Vettel’s talent – you can’t be a bad driver and win four world championships no matter how many Adrian Newey’s you’ve got in the garage – his wins always felt aided by strong machinery and team protection rather than precision driving and overtaking knowhow. It’s no surprise that Vettel is more disgruntled now than he was during his winning streak. Two years at Ferrari and a handful of wins haven’t satiated the desire for more success from the sport. And besides, it’s not just Seb that has forgotten the past. When Red Bull were the kings of Formula One and almost everything was going their way, one Lewis Hamilton eventually aired his dissatisfaction with the state of affairs. I feel for the fans because I remember watching when Michael Schumacher was winning. I remember watching the start, going to sleep, then waking up when it ended because I already knew what would happen. Fast forward to the current state of affairs, where Hamilton has finished first or second in 30 of the last 38 races, and quite easily added two championships to his existing one. Whilst we have to be grateful for drivers airing their views and not remaining behind their corporate screens, and we have to hope that someone who can actually do something about it is listening, you also need to take all quotes with a pinch of salt. As soon as they’re on that top step, drivers think Formula One is the best sport in the entire world. It's easy to be satisfied when you're on a winning streak, but as soon as someone else starts to get successful, only then is it time for things to change.